Defined by the philosophy’s co-founder Bill Mollison as “the conscious design and maintenance of agriculturally productive ecosystems which have the diversity, stability, and resilience of natural ecosystems,” permanent agriculture (permaculture) is sustained through a community’s successful imitation of nature’s habits. Permaculture professional Loren Luyendyk will be using his 16+ years of experience in permaculture design, ecological farming, sustainability, and horticulture to teach attendees of his Intro to Permaculture Design Certification course how to create agricultural methods that aim to lessen the human impact on Earth. Now let’s let the expert do the talking. What teachings can your students expect to learn about in your courseweek? Participants can expect to have their worldviews challenged, in a gentle way. We will look into where we stand ecologically as a planet, and how we can change the way we do things fundamentally to reverse the trend of degeneration. More importantly we will learn what permaculture is—how it is a design process and not a thing. You don’t do permaculture, you apply it as a systems thinking approach. It’s kind of esoteric and profound, and hopefully people will come away understanding that, and feeling inspired and empowered to make real change and be successful at it—even make a good living at it if they want. 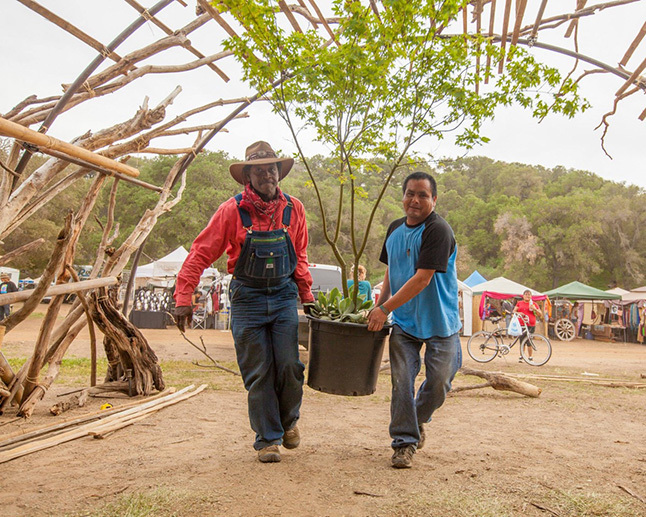 What was the catalyst for you to go on a path to teach others about permaculture? It was only after I had 10 plus years in the field—as a landscaper and farm manager—that I felt I had something to share. I probably could have started teaching sooner, but I really think that we should be humble and know what we don’t know before coming out and teaching the wrong info. I am still learning every day and feel that I learn a lot every time I “teach”. Bill Mollison (permaculture co-founder) always said that you were fit to teach permaculture as soon as you had your certificate, but I disagree. I think his assumption is one reason why we have such a fundamental misunderstanding of what permaculture is, even in the movement. I understand that Bill really wanted the information to get out there as rapidly as possible, but it was a little cavalier and has led to some pretty serious mistakes, including some shoddy information and teachers. Still, for better or worse, permaculture has spread like wildfire because it offers solutions, and more importantly, hope. 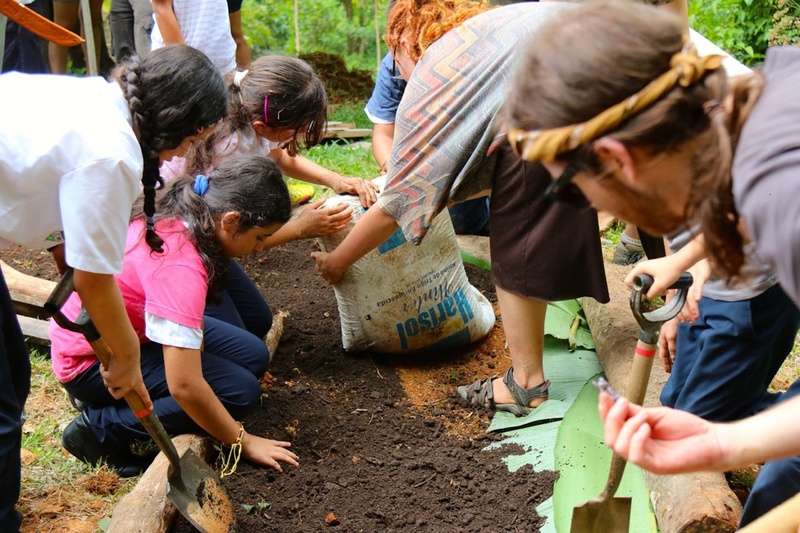 What is the biggest challenge facing the permaculture movement today? Probably what I have just acknowledged—quality information, and unity over what information should be taught amongst teachers. There are a lot of renegades out there teaching that herb spirals are permaculture, but that is a gross oversimplification. Herb spirals are an example of permaculture principles as work, not permaculture per se. There is also a lot of debate over the content of the Permaculture Design Course (PDC), what exactly should it be? There is no total consensus amongst the leading permaculture teachers regarding this. 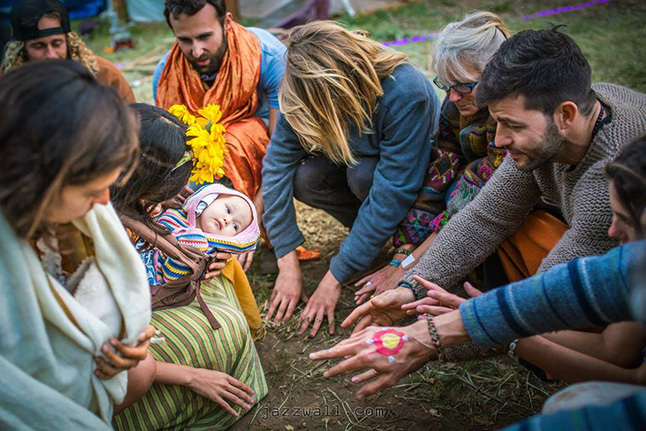 Also, there is overall a lack of professionalism in the movement, and consequently decision makers and people in power often don’t take permaculture seriously. There are also a lot of know-it-alls, people fresh from a PDC, armed with some new knowledge, that think everyone else doing it differently is doing it wrong. This is a really great way to alienate people and give permaculture a bad name. Again, be humble and acknowledge what you don’t know. Just because you took a PDC doesn’t make you an expert in farming, for example. This is all changing though and I think the movement is gaining steam. I do see a lot of professionals not using the name permaculture as much and switching to regenerative design, which has less baggage and is just more intuitive. 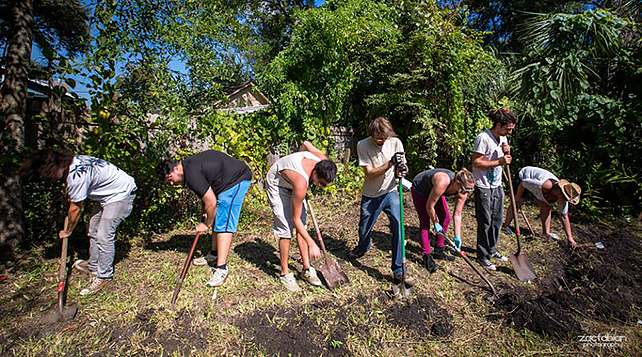 The word permaculture is jargon, and it tends to alienate people from the get-go if they do not know what it means. Regenerative design is sort of self-explanatory. What are some common misconceptions about food growing initiatives and how would you define or explain regenerative methods? That’s a big one. Foremost, that we need Genetically Modified Organisms (GMOs) or industrial agriculture to feed the world. This is simply not true. While industrial agriculture does feed a lot of the world, it is most definitely not necessary moving forward. What is necessary is that more people participate in growing food. If 1 out of 10 people grew enough food for 10 people, we wouldn’t need industrial agriculture at all, and the industry would go bankrupt pretty quickly. I call this pro-activism. Contrary to industrial agriculture, regenerative agriculture is based on logical design of the mainframe of farming operations. This means that the site is designed to reduce or completely eliminate soil erosion from wind and rain through contour farming, the proper grading of roads, and the covering of soil with plants and/or mulches. The goal is to build soil, not lose it. Infrastructural elements such as processing centers and agricultural facilities are structured near each other to increase efficiency of farming operations, and systems are integrated so that there is synergy and economy of management. The reduction of water use through the selection of crops adapted to the local climate and increasing effective precipitation through various soil building practices is another important facet of regenerative agricultural systems. There is a global water crisis, but this crisis is really an issue of management of our water resources as opposed to a lack of water in the environment. Common agricultural practices like tillage, which leaves bare soil, reduces soil organic matter and therefore the capacity of soil to hold and store water. One unit of organic matter can hold eight times more water than soil particles. Shifting to ecologically sensible management practices can increase water-holding capacity of soils by up to 15% or more. Regenerative agriculture is kind of a bridge to transition from conventional industrial systems to more ecological methods of food production. Regenerative Agriculture focuses on larger scale production as well as small scale, applying similar techniques. 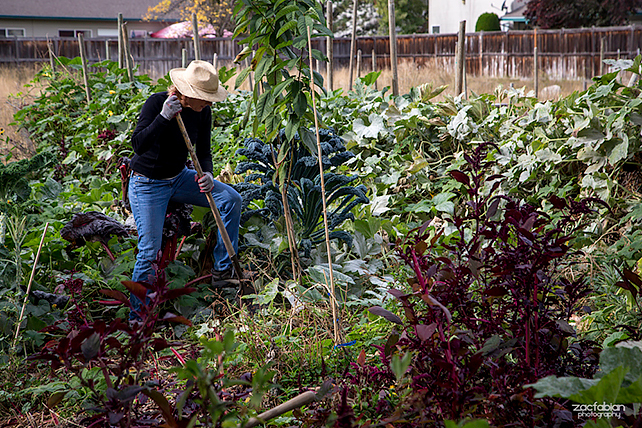 What is one design element in your permaculture systems that has not changed from climate to climate? The elements change, the principles don’t. Every design is about context—starting with the people and community, then the land and the elements. You have to start with the patterns and work to the details. I wouldn’t come in and say, “Okay, here, you should put in a composting toilet” until I had figured out if the people could manage it and the land could support it. We cannot impose our designs on a project—we must arrive at the design through the application of the permaculture process, with the principles and ethics as guides. The design comes out of extensive and thoughtful observation. Again, permaculture is not about gardening. I could say every project in every climate needs a compost pile, but that wouldn’t be true for a business-based project in Iceland; it may not be applicable. Why is small-scale, sustainable farming imperative for the future of our planet and its people? Primarily because you don’t need thousands of acres and big tractors, you can grow a lot of food in your backyard. 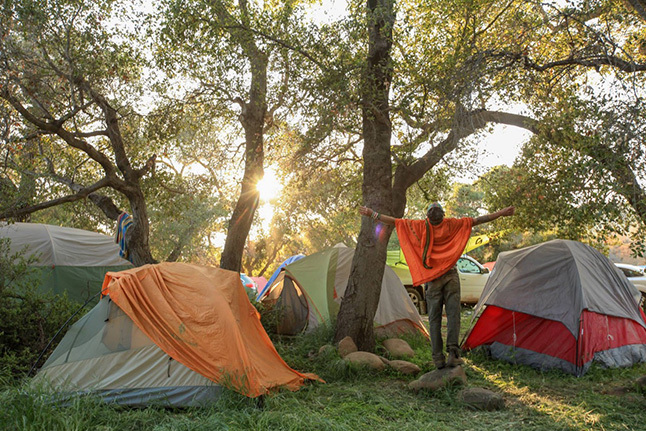 People can do it, and they can do it without lots of capital investment or land. It is human scale, and based on real needs of feeding people as opposed to making profit. Actually, small-scale systems can be more productive because they can be more complicated and diverse. You can stack a lot of plants together in a small space if you want, but you can’t do that on large farms that rely on equipment to harvest. What can a client expect from the services of your permaculture design and land management business, Santa Barbara Organics? I start by suggesting that clients do some self-evaluation regarding their relationship to their land. The process is called the Holistic Decision Making Process and was developed by Alan Savory and Holistic Management International. It is a very useful tool to help people define what they really want. It is pretty short and to the point. Basically, how much time do you have to participate with your land, how much of your food do you want to grow, how much resources do you have to support that, etc. Most of the consultation I do is land-based and jumps right to the details—people want to know where to plant this kind of tree, or can they have chickens, etc. I have been designing a lot of water systems, as that is such a fundamental need. Things like rain-gardens/tanks and grey water systems to restore the hydrological cycle and reuse water for growing food. I always focus on food plants and drought tolerant plants to provide habitat for insects and birds. More recently I started working with a really great team of 8 other professional designers on another business called Permaculture Design International (www.permacultureintl.com), with the goal to bring permaculture up to the professional design and consulting level—to work with governments and large-scale clients for example. I am super excited about this new venture because we are able to approach more complicated projects and offer more profound services. We are currently working on several projects on the scale of thousands of acres, which is pretty interesting. I see this really taking off and hopefully opening the door for more professional permaculture design firms to make some real change! Hi there! I live in Long Beach CA, do you know some people who live near me I could connect up with to learn more about regenerative design?